You can be a mermaid! The holidays are over, which means we’re back to the daily grind. That being the case, it’s never too late to squeeze in some downtime. Whether you’re feeling artsy or adventurous (or you just want to take some snaps for your IG), there’s always a place for you to kick your heels back without having to go too far. 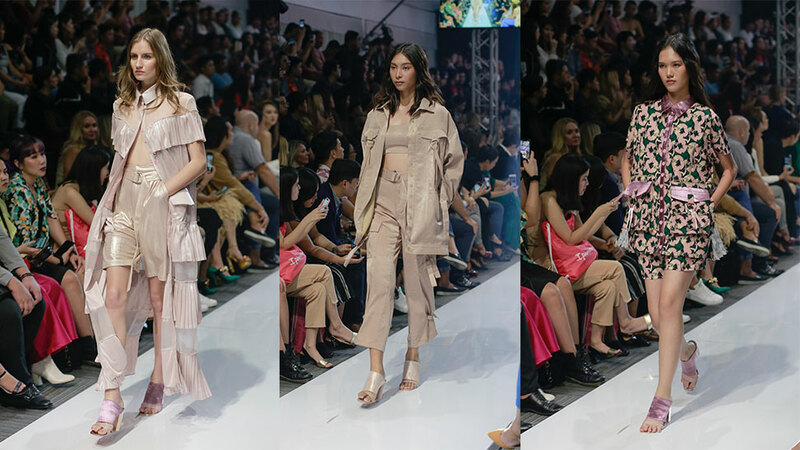 Below, 10 activities that every Preview girl will enjoy within and near the metro. 1. Visit a cool museum. You’ve probably stumbled upon photos of a blue rustic-looking entrance door, Santorini-esque spaces, and sprawling galleries. Well, the IG-worthy Pinto Art Museum is no stranger to a millennial’s list of must-see places. With its young and modern vibe, it’s easy to relax and just appreciate the artworks by various Filipino artists that the museum houses. They even have a café that’s so flatlay-worthy! 2. Shop for street style art. Whether or not you’re into collecting toys, Secret Fresh is definitely a place you should check out. This contemporary space is a hodgepodge of designer and urban vinyl toys (think cheeky and nostalgic) and even post-modern sculptures that are sure to catch your eye. Watch out for their special exhibits! 3. Watch classic Filipino movies at a new film center. Calling all film buffs—class is in session. The newly opened Cinematheque Centre Manila is here to teach you a thing or two about Philippine movie history. The Museo ng Pelikulang Pilipino houses exhibits, equipment, and vintage posters of classic local films on display. After feeling cultured, head on over to the café afterwards and grab yourself a treat! Three words: Dreams. Come. True. Be a mermaid princess and flip your fins while getting fit under the sea. 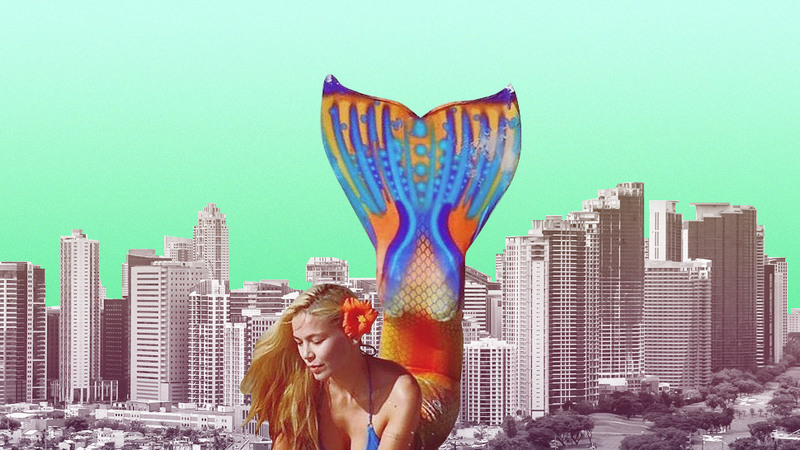 The Philippine Mermaid Swimming Academy is legit—with certified swimming instructors to teach you the art of mermaid-ing (if that’s even a word). Seashell bra, optional. 5. Fight like a ninja and get your beast mode on. At the Ninja Academy, the Philippines’ first indoor parkour facility, only the strongest will remain. Put your physical fitness to the test through their intense workouts like the gauntlet class (circuit training and obstacle course challenge) and tricking (martial arts, gymnastics, breakdancing and capoeira). 6. Train a dragon, learn kung fu, and eat like an ogre. For the kids and kids-at-heart, any day spent at DreamPlay is truly a day well-spent. This interactive play space joins the forces of DreamWorks movies Kung Fu Panda, Shrek, Madagascar, and How to Train Your Dragon to create a fun and creative atmosphere for any family. Whether you’d prefer to traverse through tricky obstacle courses, create a 3D movie, or eat dimsum, there’s surely something here that’ll float your boat. 7. Channel your inner Nancy Drew. Think pulling together those holiday outfits was hard? Think again. Let’s see if your mystery-cracking wits are just as savvy as your sartorial acumen. Mystery Manila is a live role-playing game where you and your squad get transported into thrilling experiences: graveyard escapes, paranormal activities, and even time bomb hunts. Search for clues to make it out alive—you’ve got about an hour. 8. Be a fancy artist for a day. What better way to spend a classy weekend than to sip wine and (attempt to) paint a Van Gogh? Unlock the #ahrt in you at Sip and Gogh, the country’s first paint and sip studio. If you think that you’re not cut out with the artistic chops, don’t worry because their instructors are there to guide you every step of the way. 9. Travel to other dimensions. They say that art imitates life, but now it’s your turn to imitate art! Art in Island houses floors of visual feasts that seem so real it’s almost difficult to believe they’re just paintings. Take loads of photos at this interactive 3D art joint! Hashtag #emote. Operating Hours: Tuesdays-Sundays 09:30AM to 09:30PM. What’s crazy, sky-high, and tones your muscles? Nope, not your favorite pair of stilettos! We’re talking about hair-raising acrobatic stunts that you could try out (if you dare) at Flying Trapeze Philippines. But if you don’t feel like swinging and flipping at 32-feet in the air, you could also check out their calisthenics bars.